The following is part of our Member Spotlight series. Twice a month, the PPRA blog will feature a profile on one of our members. Today’s post highlights long-time PPRA member Meredith Avakian-Hardaway. So, how long have you been a member of PPRA? I got into PR while attending Temple University, where I went on to major in PR and serve as the PRSSA chapter president. Tell us a little bit about your current position. 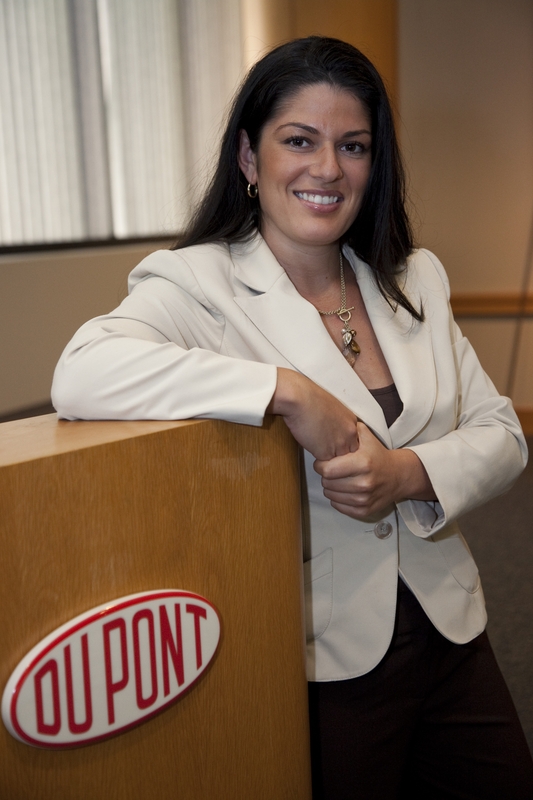 DuPont Regional Public Affairs Manager – I provide 24/7 issues and crisis communications support to eight manufacturing plant sites in three states – DE, NJ & RI – in addition to leading related internal/external communications and community outreach. It’s never (ever) boring! I never know what each day is going to bring and I’m always in a different location working with a remarkable cross-section of people at all different levels from a variety of backgrounds. I get to learn so much about a variety of products, industries and cultures, and every day seems to provide new challenges and opportunities. Are there any PR trends that you’re really into right now? It’s amazing to see how companies are using PR campaigns to position themselves as helping to solve some of the world’s largest challenges, such as increasing food production, decreasing dependence on fossil fuels, and protecting people and the environment. What social media platform do you use the most in your personal life? What about for business purposes? I use Twitter for both – @MZApoetry (Personal) and @DuPont_NAOps (Work). If you could give one piece of advice to current PR students about getting into the industry, what would it be? Get involved….now! I always encourage students to join student and professional organizations, get internship experience, go on informational interviews, get community experience. Students need to identify, then build their brand; build their experience and, of course, network. Most don’t think to do this until they’re about to graduate. At that point, they’re already behind their competition. It’s never too early to get involved. What is your favorite thing about Philly? I enjoy the diversity the city brings, which is what originally attracted me to Philly (via Temple University) and has helped to keep me here. Of course diversity in people also brings diversity in food, which has helped to rebrand Philly as a “foodie” city. Since most of my meals are spent “on the road,” it’s nice to have a vast variety of options. I also serve as PPRA’s VP for External Affairs. I reside in South Kensington with my loving husband Marques and our sassy cat Anush. I’ve self-published two books of my poetry and am working on a third. Since starting my career, I have been recognized by PPRA with several awards, including the President’s Fast-Track Award (2009) and the Dr. Jean Brodey Achievement Award (2006). Be sure to connect with Meredith on Twitter to chat more about her cat, poetry and more! This entry was posted in Member Spotlight and tagged Communications, DuPont, Member Spotlight, Philly, PPRA, PR, Public Affairs, Public Relations, Temple University by pprablog. Bookmark the permalink.